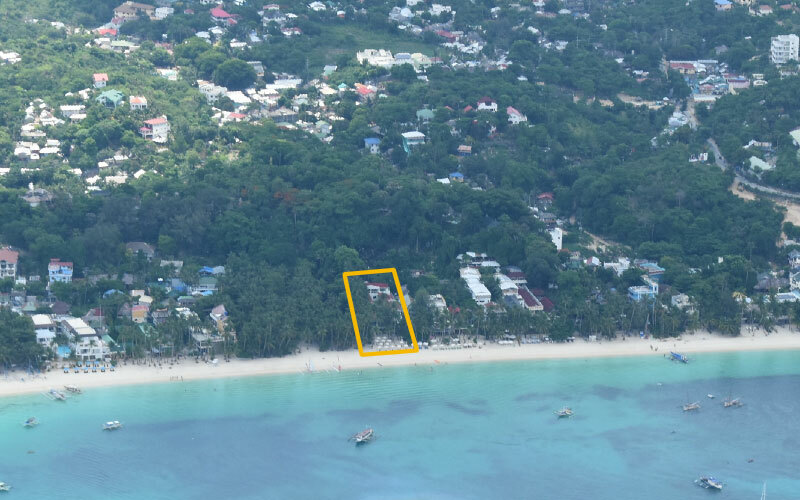 This was the last section of White Beach to be developed. 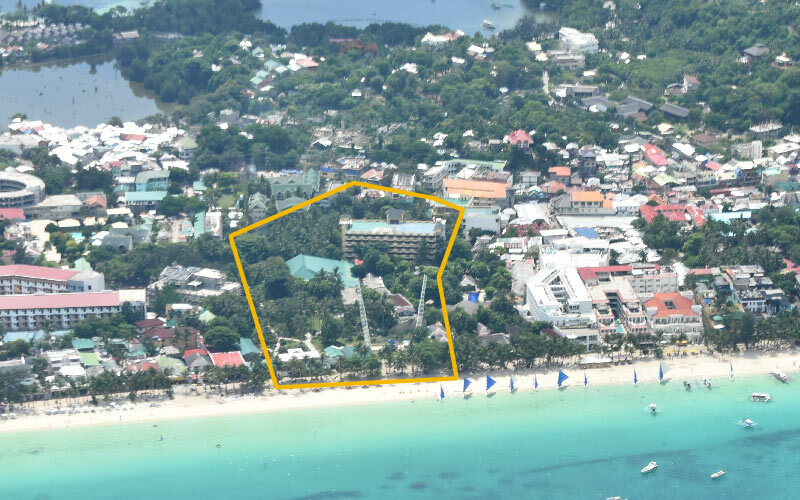 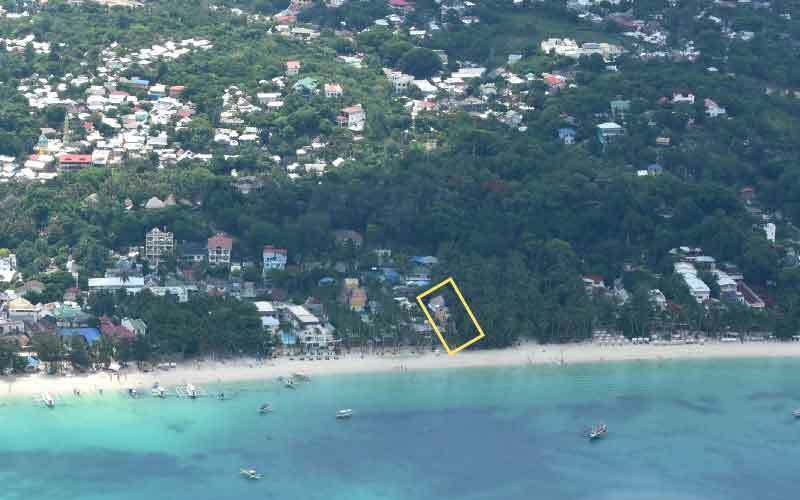 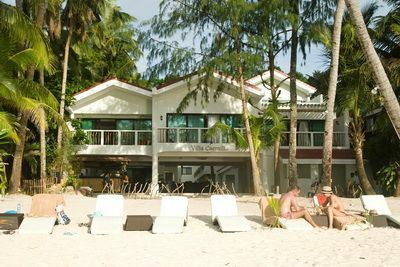 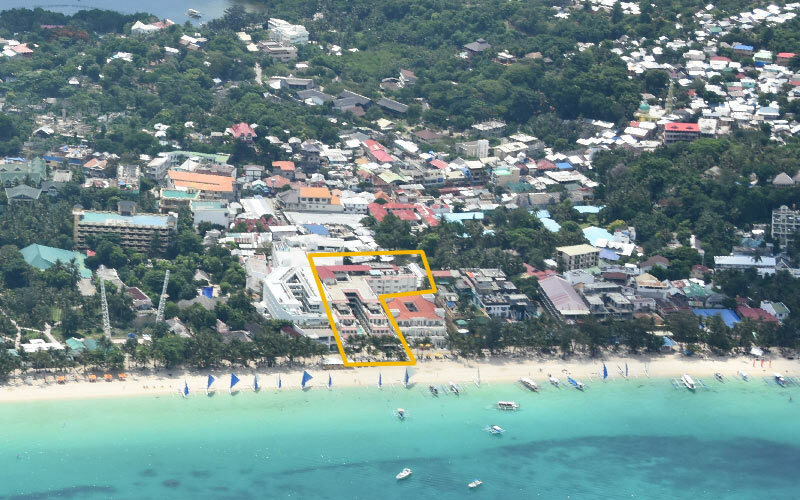 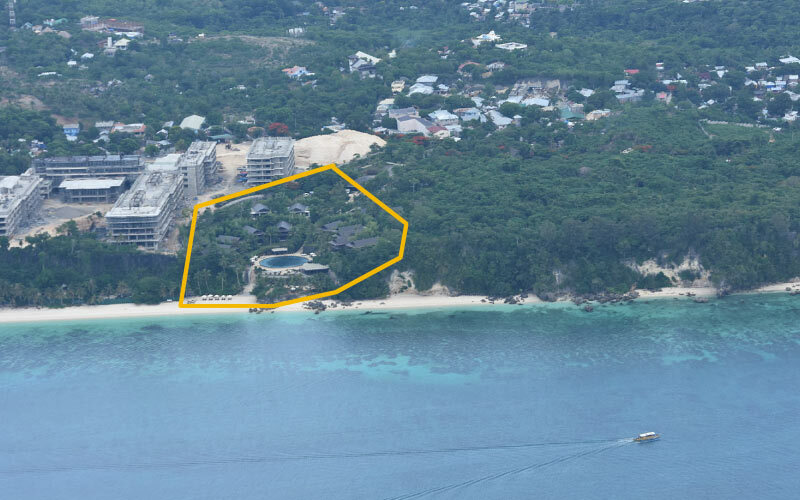 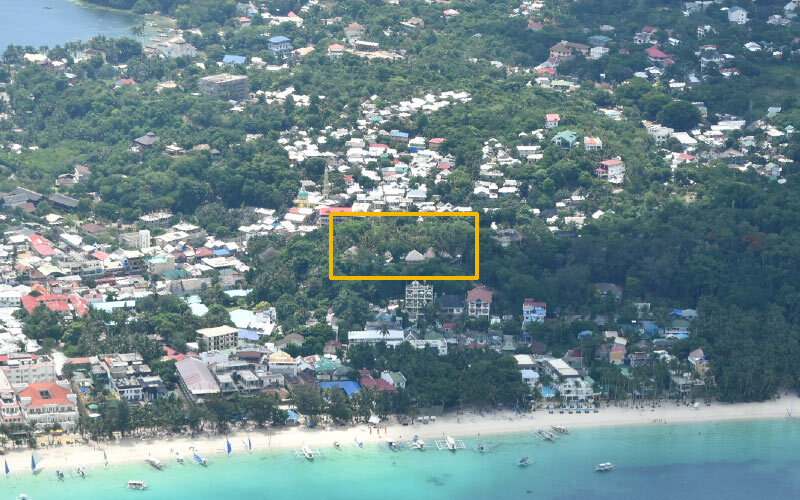 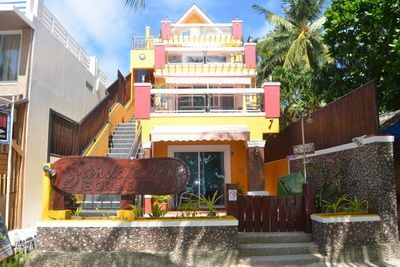 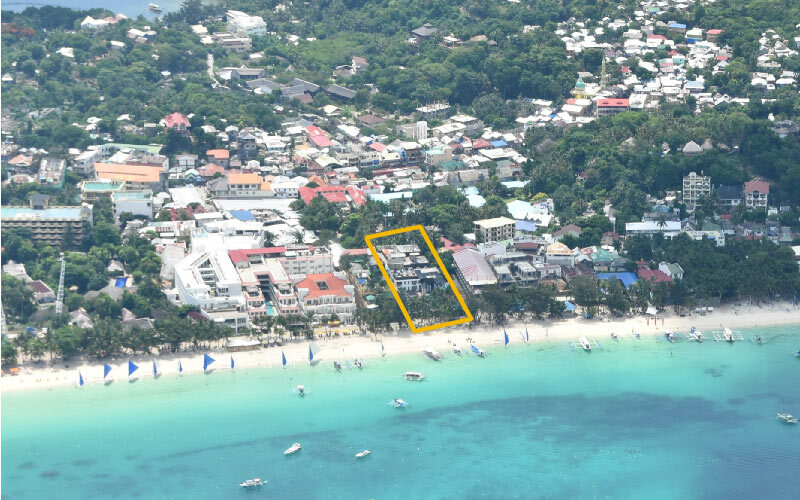 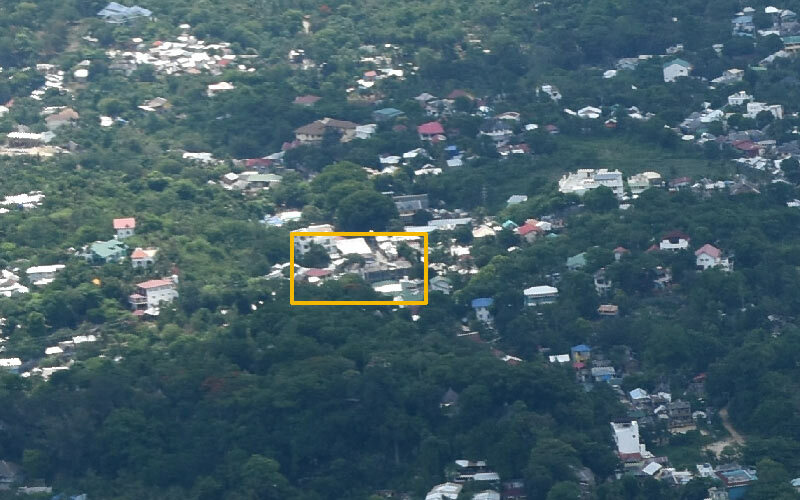 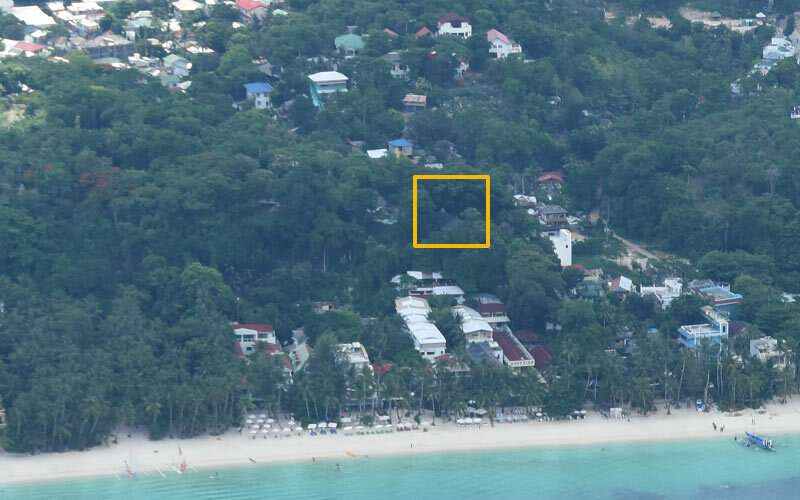 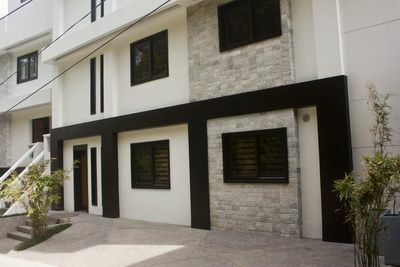 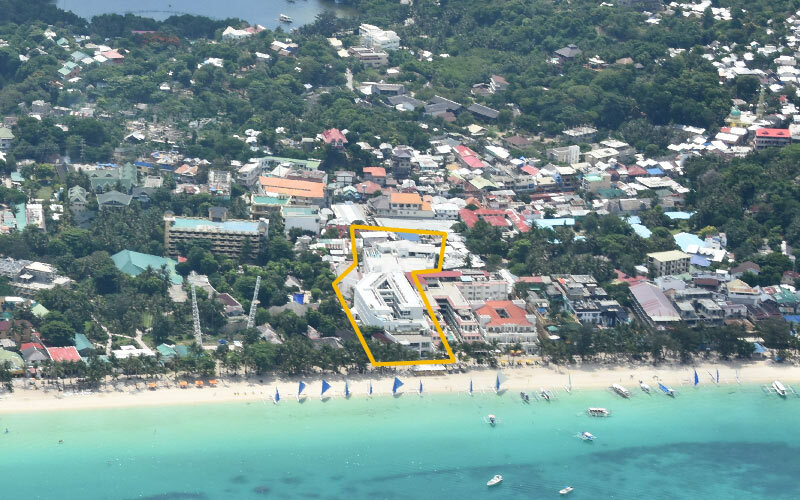 Most of the remaining White Beach budget and native style bungalows are located here, although recently more upscale Boracay hotels and resorts have been developed to take advantage of this more relaxed atmosphere. 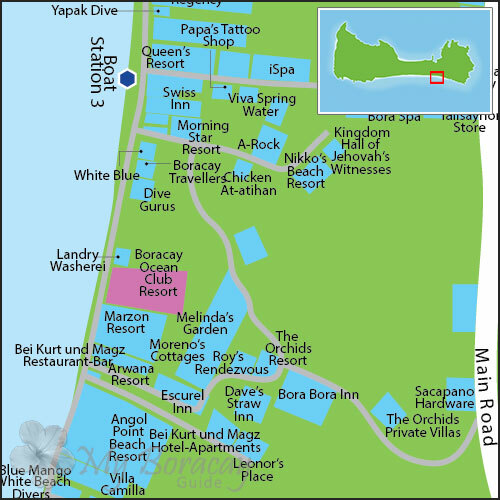 It is the quietest part of White Beach. 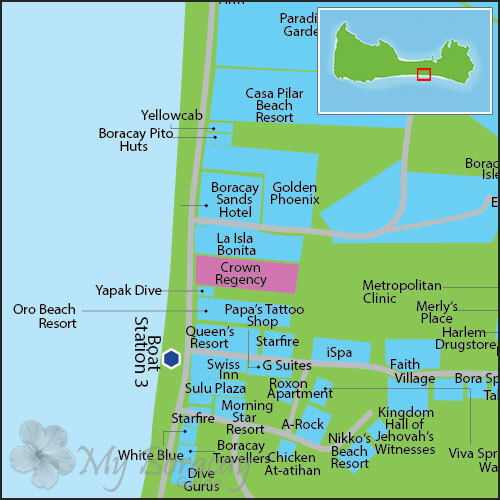 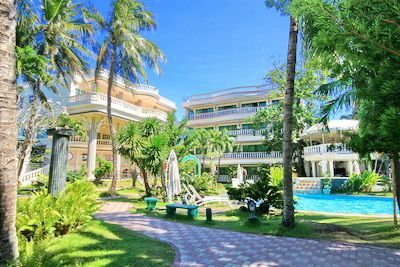 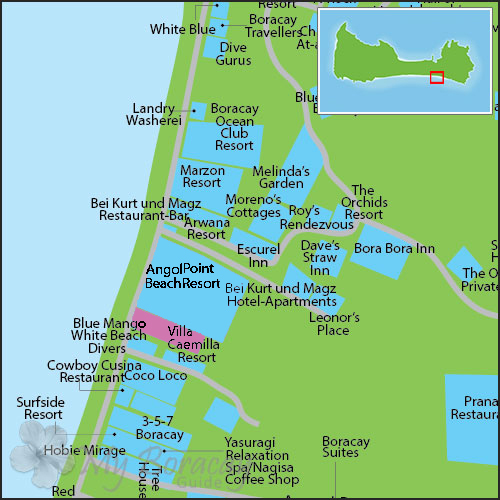 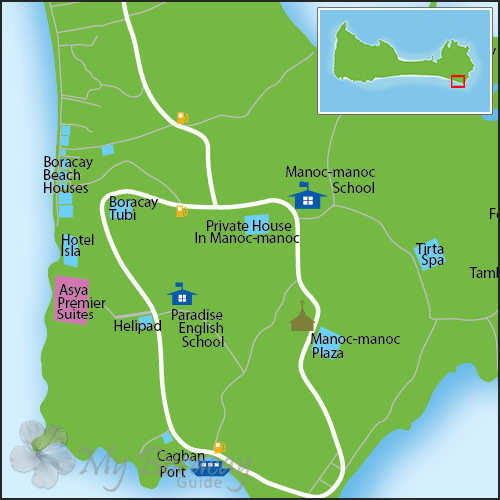 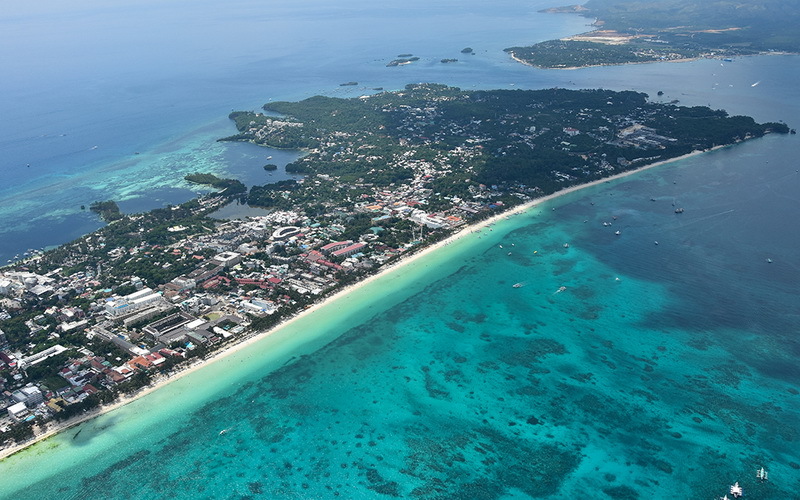 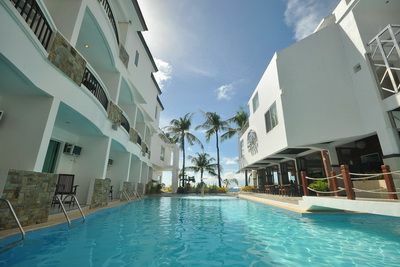 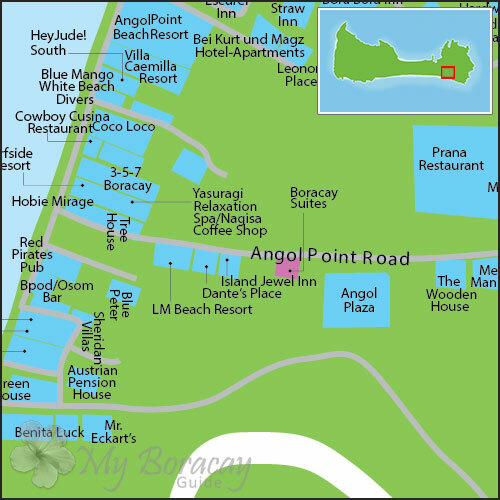 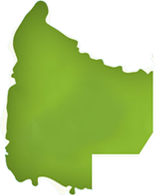 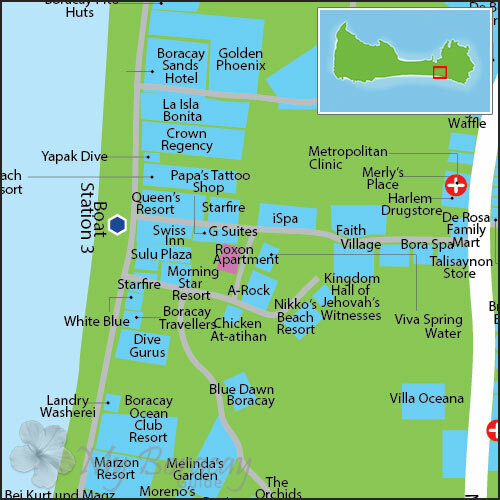 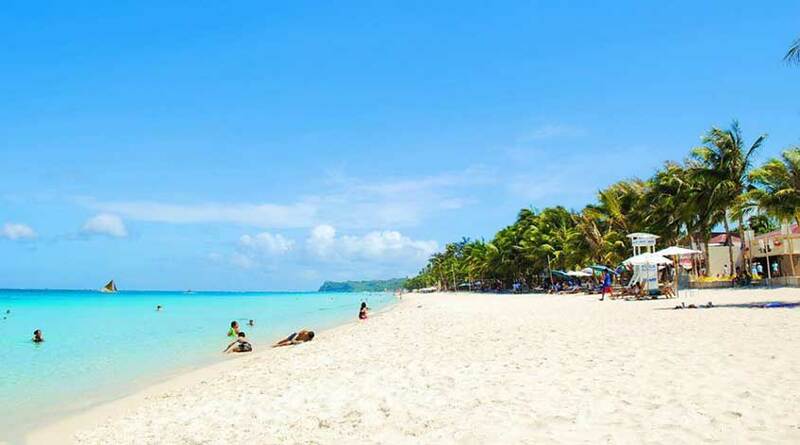 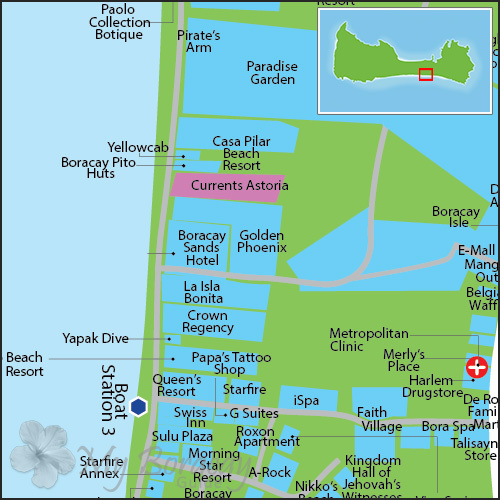 There are some excellent value accommodations, as well as a few of the nicest Boracay hotels. 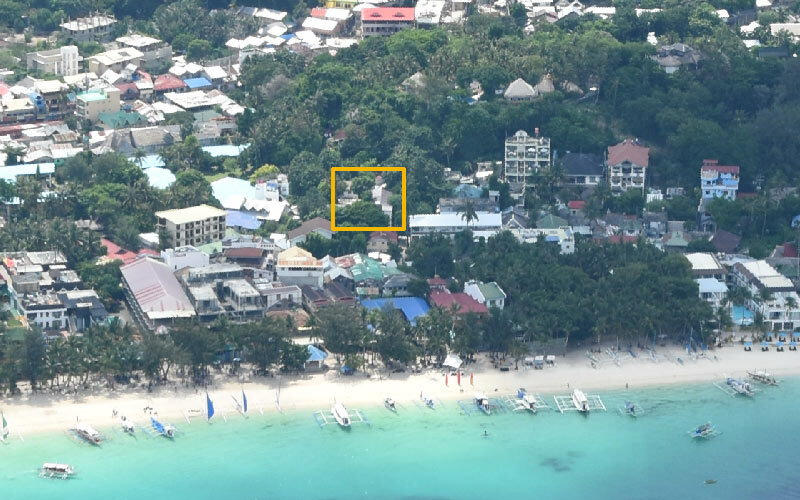 The footpath traffic and tourist density is significantly less than the other boat station areas. 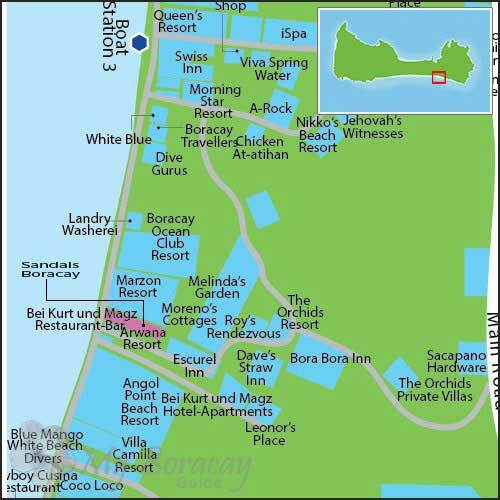 This stunning resort boasts of it's own private beach and magnificent sea views. 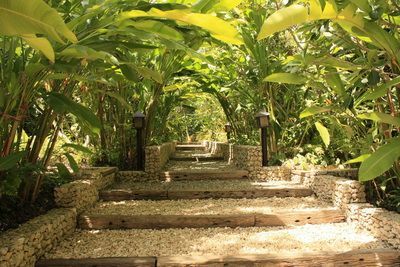 An elegant and pristine oasis, quiet and relaxing. 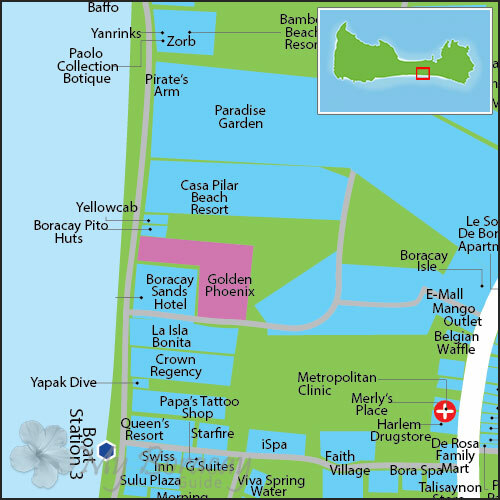 An oasis in the middle of Boracay, this world class spa is truly a breathtaking experience. 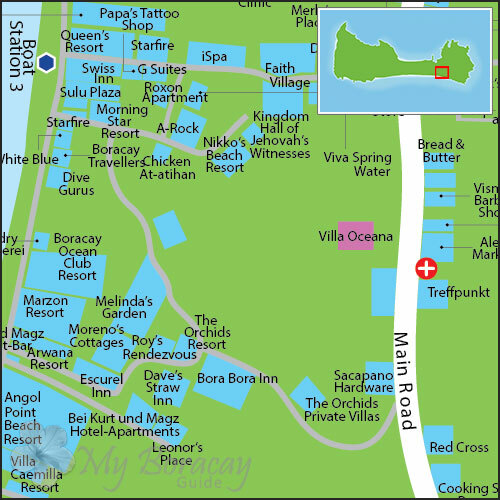 This resort offers modern amenities and facilities in a lovely garden setting. 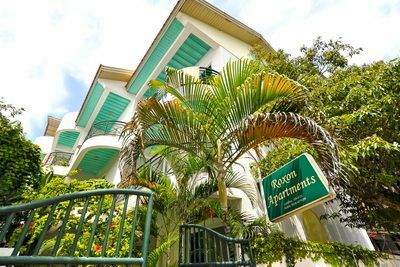 Rooms are vibrant and sleek with first-class amenities to ensure a most comfortable stay. 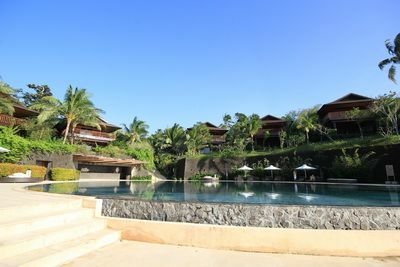 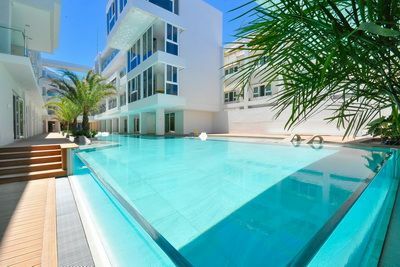 Live in luxury and style when staying at this fashionable resort. 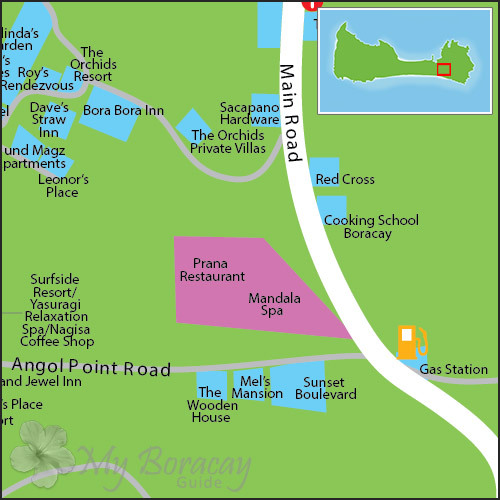 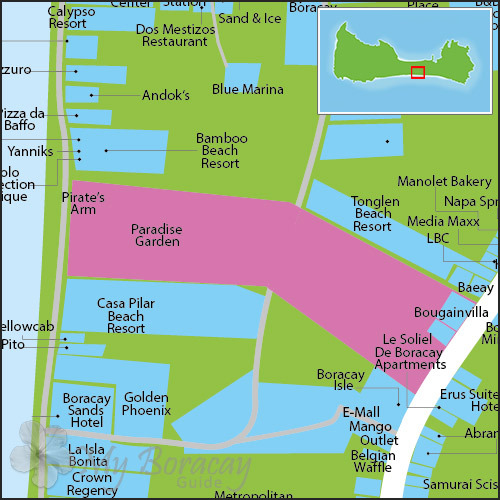 Sandals Boracay provides a most conducive spot for you to take a break from your busy days. 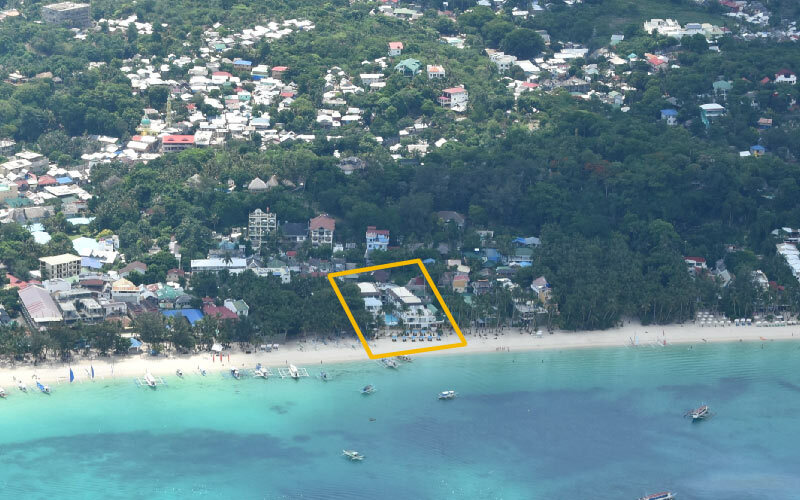 A mix of modern convenience and island tranquility near the end of White Beach. 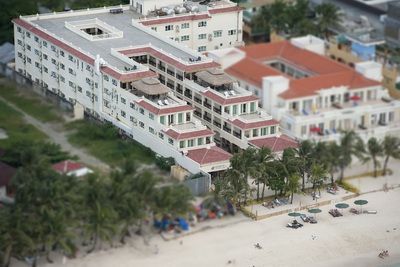 Affordable yet elegant beach front accommodations. 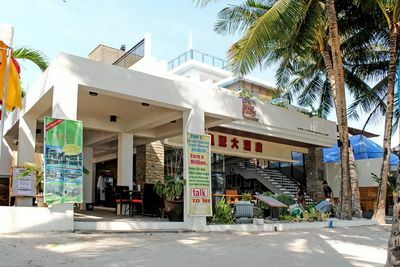 Unique, elegant and comfortable accommodations. 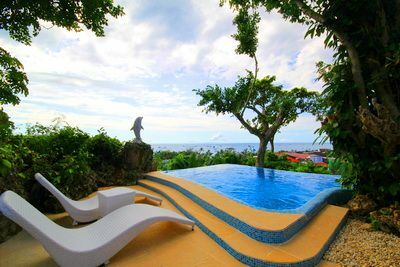 An island paradise, stunning and breathtaking in it's elegant simplicity.